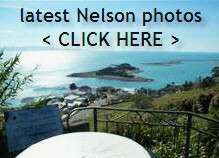 Sunniest Place in New Zealand for 2011 is…. and provided to me by NIWA’s CLIFLO database system I can produce the above chart. Time to make your own mind up? This entry was posted in Buyers, General, Nelson, New Zealand and tagged Buyers, buying, climate, energy, Nelson, NZ, Sellers, selling, sun on December 30, 2011 by David Leggott. Benefits to being the Sunniest place in New Zealand? The latest Live Nelson publication is due in your letterbox this week. This chart is on its back page, and with just over 3 weeks to go, its still a race. In the same publication on Page 6 is an update on the Solar City / Solar Saver Scheme. In related news it was heartening last month to see the Nelson City Council behind a nationwide campaign to introduce similar schemes around the country. The Hawke’s Bay scheme is based on Nelson’s solar saver rate scheme. In Nelson, annual solar consents leapt from 30 to 176 after the scheme was introduced in 2009. Adjacent to this is the clean air warm home campaigns that many NZ councils are also running, with the goal of having no open fires in the city region, and in Nelsons case no woodburners older than 1994 installed. Absentee landlords need to be aware of this too, and if you have any questions regarding this just call or email me. This entry was posted in Buyers, General, Nelson, New Zealand, Technology and tagged Buyers, buying, climate, energy, Nelson, NZ, sun, Technology on December 8, 2011 by David Leggott. …will it take me to get to here, a school, neighbourhood sports centre, etc. These are the types of questions that property buyers ask NZ real estate agents each and every day. So you really would like a lifestyle property but wonder about the distances (probably more the traveling time, frankly) to both kids schools, and the sports centre, and the equestrian arena. Wouldn’t it be handy to know? Yes, now you can thanks to Hootroot. 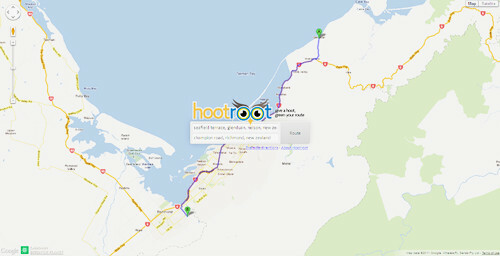 I’ve just tried it out on many NZ and Aussie locations, and its pretty accurate and informative re traveling times too. Head on over to Hootroot.com and give it a try. This entry was posted in Buyers, General, Nelson, New Zealand, Technology and tagged Buyers, buying, energy, mapping, Nelson, NZ, Technology on November 8, 2011 by David Leggott. What the heck has happened to the weather? It really does seem to have reacted a bit like a “yo-yo” lately doesn’t it? Luckily for Kiwis, and one thing that I am glad to say, my taxes contribute to, is NIWA. They’re our official guardian of all things scientific and factual when it comes to the weather in New Zealand. So lets check out what they have to say. It would appear that according to official data, there are only two zones that would fall into what one might call “overheated” and yes eager eyes will quickly decipher where they are. August 2011 was characterised by frequent southerly winds, and higher pressures than usual, over New Zealand. and courtesy of that Southern Oceans spell….. The long-lived southerly winds between August 14 and 17 delivered extremely cold air over the country. Numerous August low temperature records were broken between the 14th and 17th. However it has left a couple of spots in NZ a bit short of rainfall….and that’s not something we want to hear now, February yes….but not in September. Rainfall is a good thing….especially if you are dirt. So what does all this show. Well…..actually if for nothing else its helping to reinforce this….. This entry was posted in General, Nelson, New Zealand, Stats / Sales Data and tagged climate, coastline, education, energy, mapping, Nelson, NZ, stats, sun on September 14, 2011 by David Leggott.